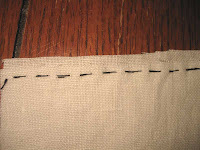 The first stitch is the one I've used the most often: the fell stitch. 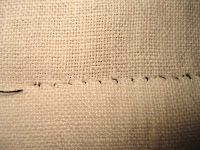 It can also be called hem stitching, since it's used very often to finish hems. 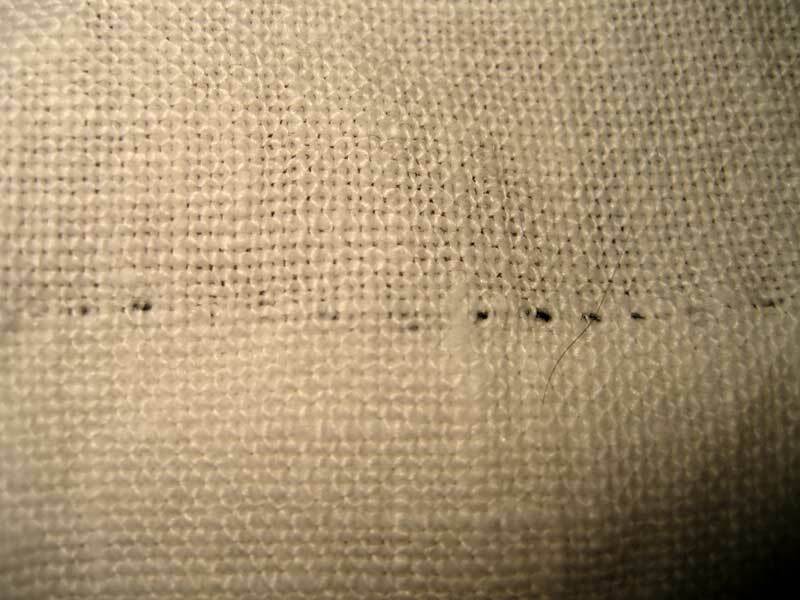 The fabric closest to you is the side on top. 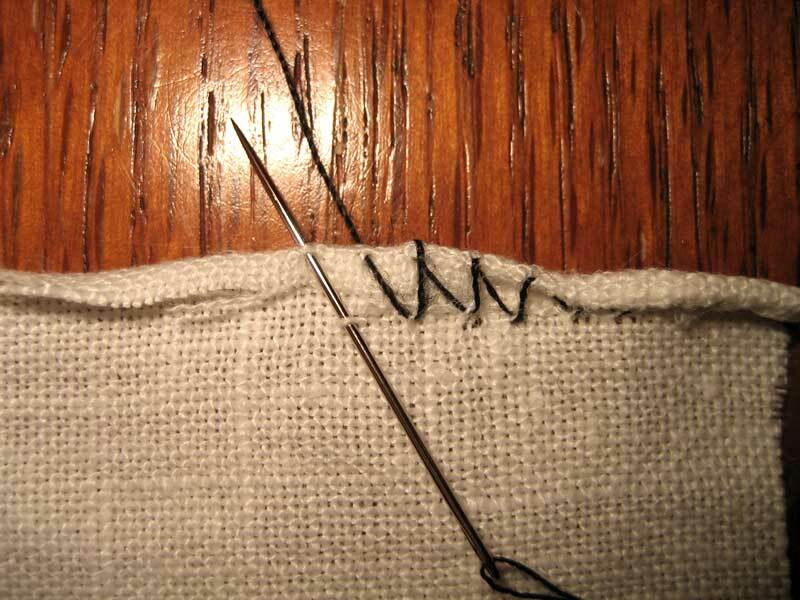 Put the needle through that to start, then pick up a thread of the fabric below, just next to where the needle comes out. 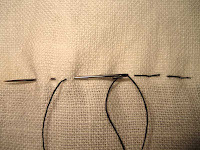 Push the needle sideways through a few threads of the top fabric, and repeat. 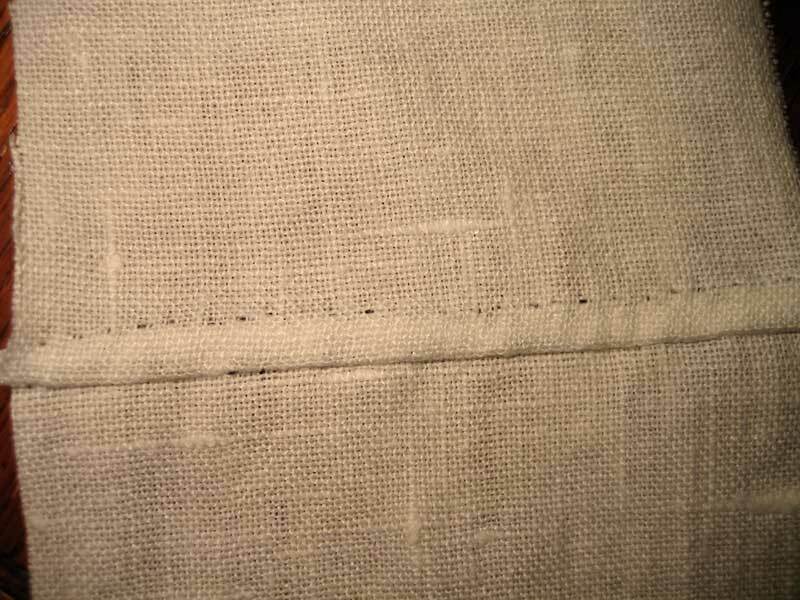 The other side of the fabric. 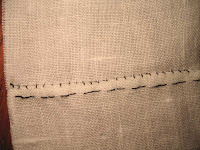 As you can see, even with the black thread the stitches don't show much at all. 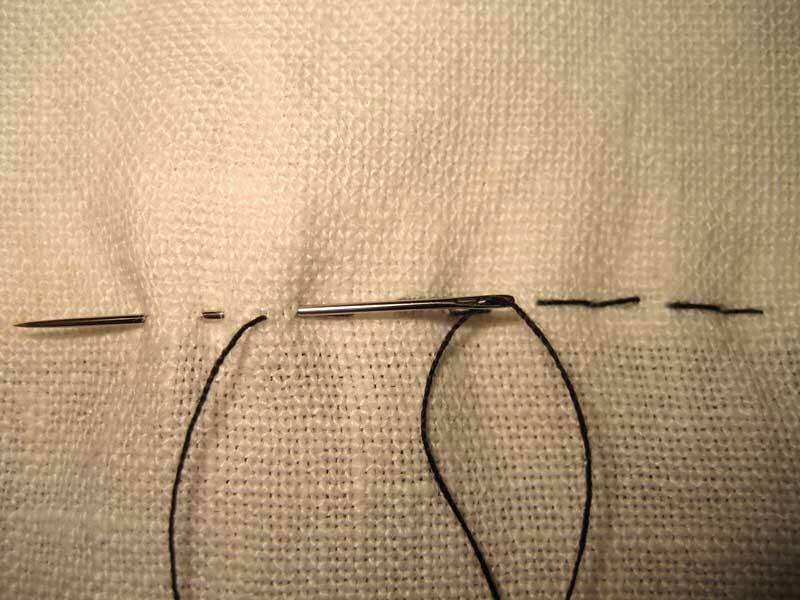 This next stitch is a running back stitch. 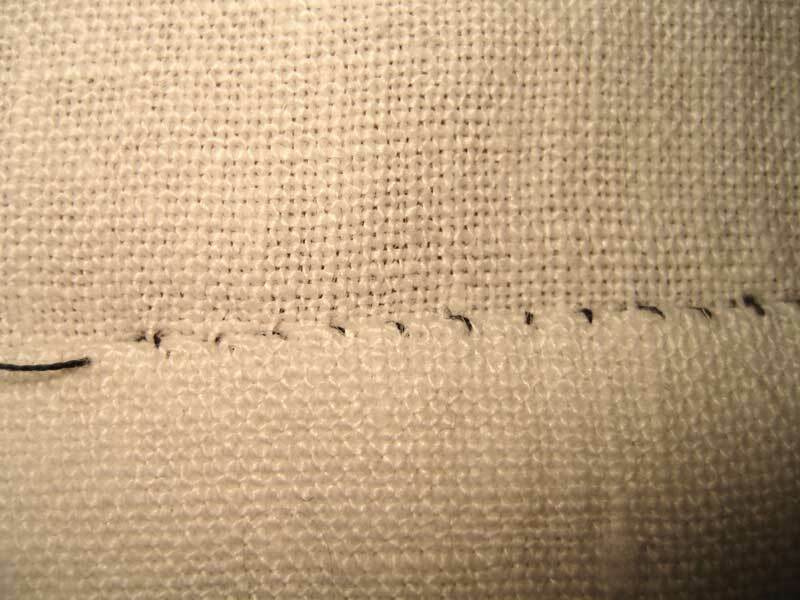 It does exactly what the name implies: it combines a running stitch with a back stitch. 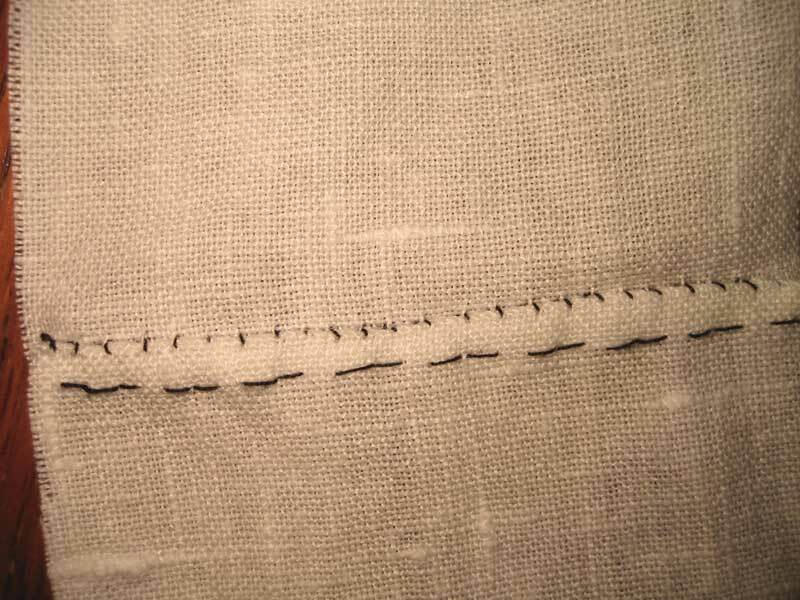 It isn't as strong as a back stitch, but it's a lot faster to do. 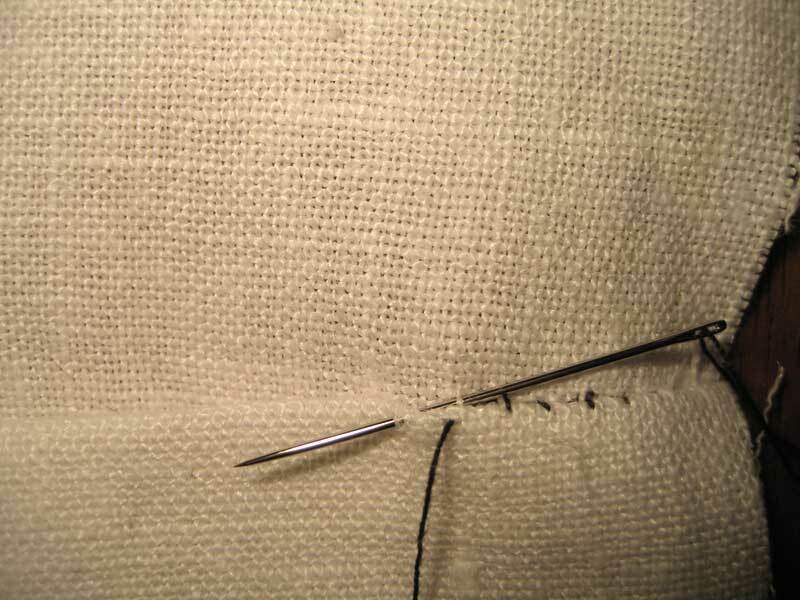 To make it, for every back stitch you make, put the needle through the fabric twice like a running stitch, then back stitch, and repeat. 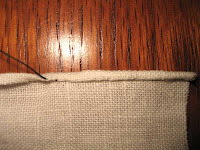 Fold the overlapped edge down, and then fold again along the stitch line so that the fabric now likes flat. 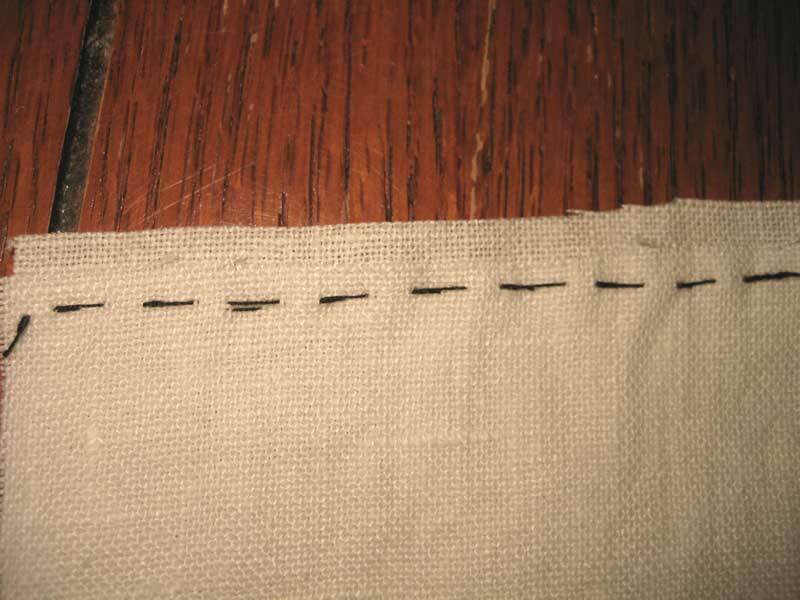 Using the fell stitch, sew along the open hem to hold it down. 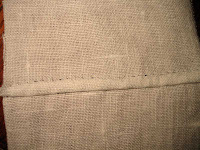 This is what it will look like from the back. And this is what it looks like from the front. 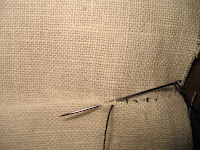 The final stitch is the rolled hem. 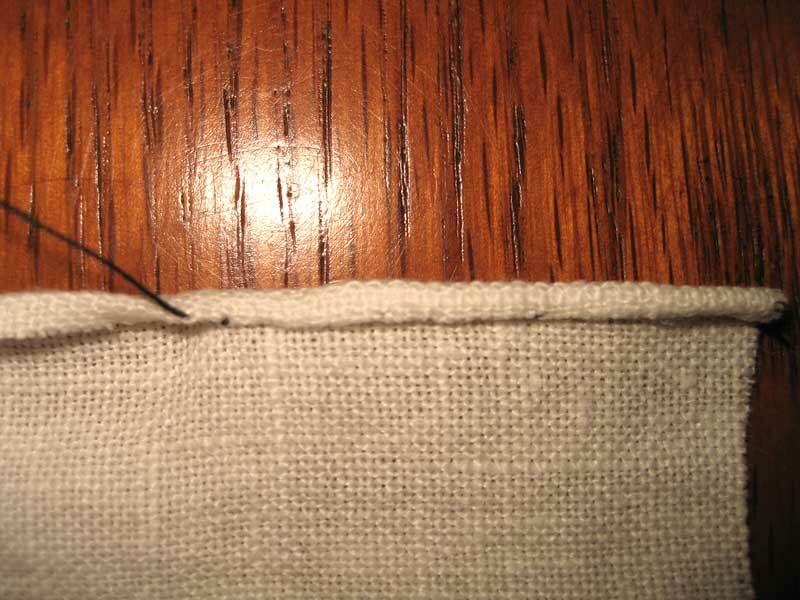 Using your fingers, crease about 1/8" of the fabric, put the thread through the top of it, then stitch below the crease by about another 1/8", catching one thread. 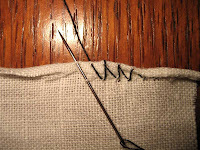 Moving diagonally, put the needle through a thread or two of the folded edge. 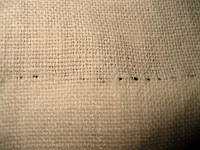 You can load a couple of these stitches on the thread before pulling them tight, which rolls the hem up and finishes it.